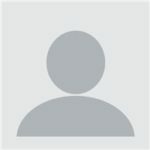 Home Reviews Application Reviews Is MalwareFox Safe? Tested and Reviewed! MalwareFox is an Anti-Malware that has been creating buzz in Cyber security industry for some time now. In fact, so much noise was created around it that many people now are questioning the authenticity of this program and how safe it is to use it. That’s why I decided to test it out. After using the trial, I recently upgraded to premium version. I’ll share with you the experience that I’ve had with it until now. So, first things first, what does this program promise to offer? And can it keep these promises? Upon visiting the homepage of this Anti-Malware, you’ll find a bunch of features, but we’ll only focus on the basic ones that will prove the effectiveness and truthfulness of this program without me potentially risking to break my PC. Before looking at them, we must first understand what they are. Real-time protection is a feature that enables your Anti-Malware to detect malware before it can even get inside your PC. That can be achieved by filtering data in real-time before it gets stored inside your PC, if a file is detected as malicious, then it will be immediately deleted or quarantined depending on how dangerous it is. The title is pretty much self-explanatory. With Malware detection and removal, you’ll have to scan your system and if something suspicious is detected, then you’ll have to choose what action to take against it. A recommended action will usually be suggested by default. A malicious program can be anything from adware and browser hijackers to ransomware and trojans. Now that we have explained the basics, why don’t we take a look at MalwareFox? The UI looks beautiful. 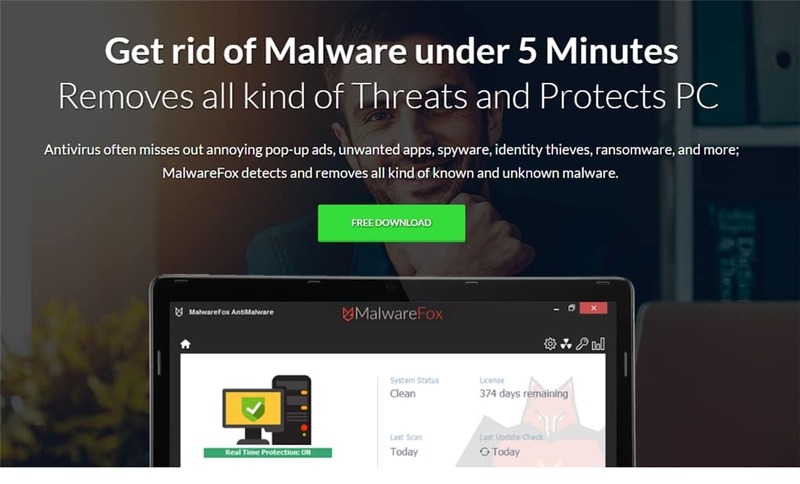 I found the day to day usage with MalwareFox to be easy-going and pleasant. I never noticed any slowdowns after installing it and neither did it took up any disk space. The installation of it took roughly more than 5 minutes and navigating through the settings was effortless. The scanning times will definitely vary depending on your hardware so it’s kind of useless to talk about that, but I’ll mention it anyway. I currently have two drives of 120 GB each, the one is an SSD, and the other is an HDD. MalwareFox took a minute to finish a full scan on the SSD and almost 2 minutes on the HDD. All in all, MalwareFox left me with a sweet taste after the first few minutes of usage. I threw myself at some viruses on purpose while having real-time protection on just so that I could test how affective it is and by how much I could rely on it. I had a total of 9 viruses that I used for my little test and as you can see on the picture above, MalwareFox managed to prevent all of them from infecting me in real time. It’s worth mentioning that Windows Defender only managed to detect 2 of them, if not for MalwareFox, the rest of them would have managed to infect me. I decided to turn off real-time protection and get myself infected with some relatively harmless malware. My first plaything was a simple browser hijacker, browser hijackers are a type of malware that will change your browser’s homepage and will make it so that you won’t be able to change it back to your default one on your own. 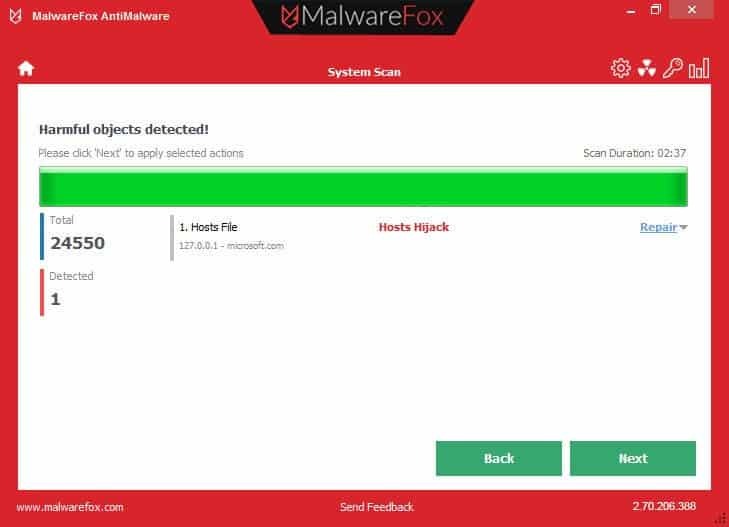 As you can see on the image above, MalwareFox managed to detect and remove the hijacker with no problems whatsoever, the first test was a success. After that I decided to give it a try with an adware. Adware is a type of malware that comes in many forms, it might keep on popping up ads everywhere, redirect you to a certain website, disguise itself as a search engine, and so on. Once again, as you can see above, MalwareFox managed to detect and remove this adware. It’s worth mentioning that my built-in Antivirus failed to detect either of them, it didn’t found a single threat even with real-time protection on. So that’s a plus for MalwareFox. All in all, I was pretty pleased with the basic level of protection that MalwareFox offers and it’s also nice that we can have this particular feature totally for free. 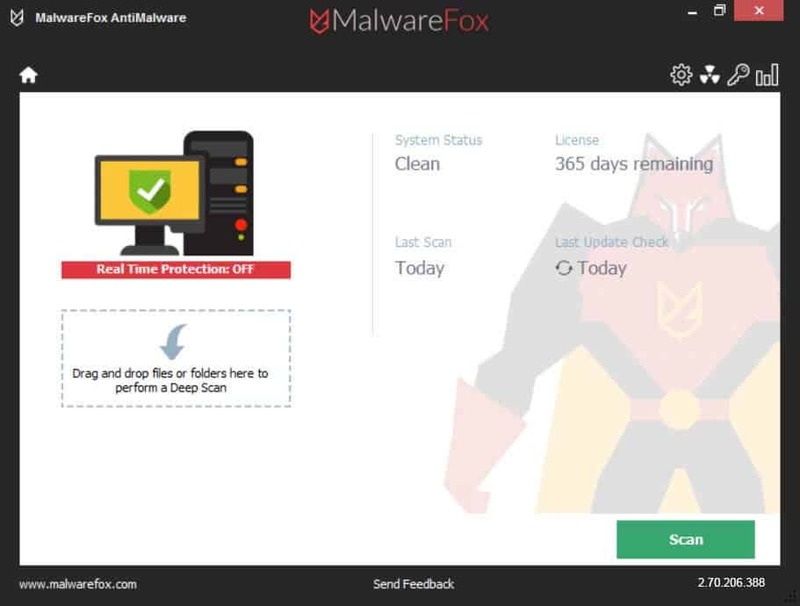 Overall, MalwareFox seems to be not only an application that is safe and that you can trust, but also one of the most effective and affordable Anti-Malware programs that you can find on the market as of the time that this review is being written. The countless positive reviews that you can find for it only prove that I’m not the only one who is satisfied and I absolutely recommend to go for the premium version.